Chester is a cracking little city to visit. We’ve been to Chester quite a few times over the years and it’s a rather beautiful place to find yourself in. A few years back we spent a night at the Crowne Plaza between Christmas and New Year. It was a nice hotel, but I can find it really hard to sleep in hotels. The breakfast was nice, but we were overrun by a coach party of OAP’s who were hogging the breakfast buffet. The best thing was seeing Chester dusted in a light coating of snow, which made it look even prettier. Getting to Chester is a relatively simple process from Manchester: M60, M56 and M53. You do have a choice of junctions to turn off at and I never know which one is the best. The one which leads you to Hoole Road is the worst as it’s always full of traffic. Then again it’s always worth taking a detour to Hoole as it’s a sweet little happening suburb. 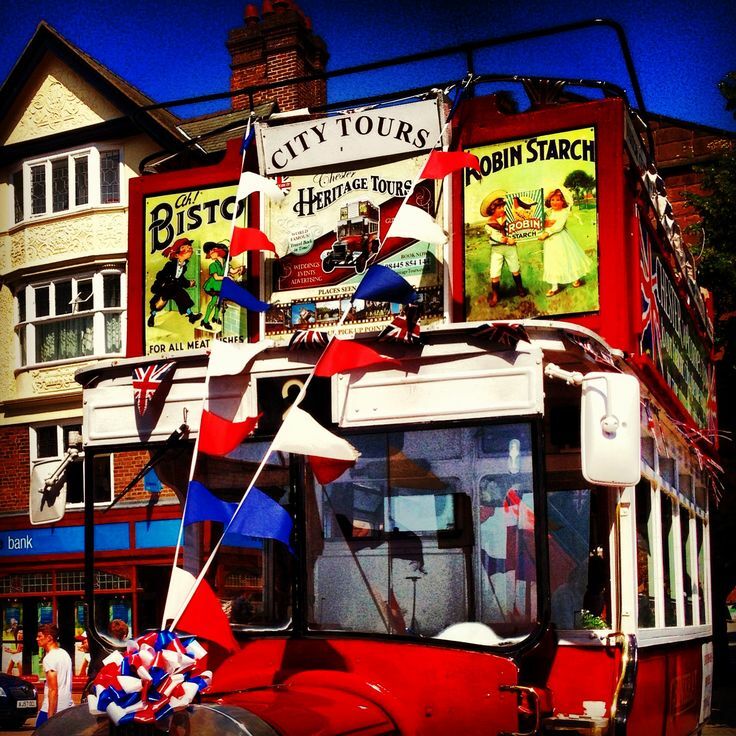 Parking in Chester is a major poo – this is why they have a park and ride service. If you take the Hoole Road route there is an open air car park near the Hoole Road roundabout. It is cheap, but always busy. There is also pay and display parking near the council flats – again always busy. Stupidly we went to Chester on a race day so it would be wasting our time trying these places. In the end we parked in Pepper Street Car park and paid about £7 for 4 hours parking – very pricy if you ask me. Chester is always a good shopping experience. Not only does it have your usual high street chains but also a good selection of independent shops. We noticed there were a couple of vintage shops this time. Penny Lane is near the centre of Chester. I have to say whilst it does sell vintage items, its main trade is selling new clothes which have a vintage feel. I had to leave Neil in there browsing the racks of second-hand records. There was a more interesting shop on Brook Street called Becnicks Wonder Emporium, which was more interesting and had a little café. 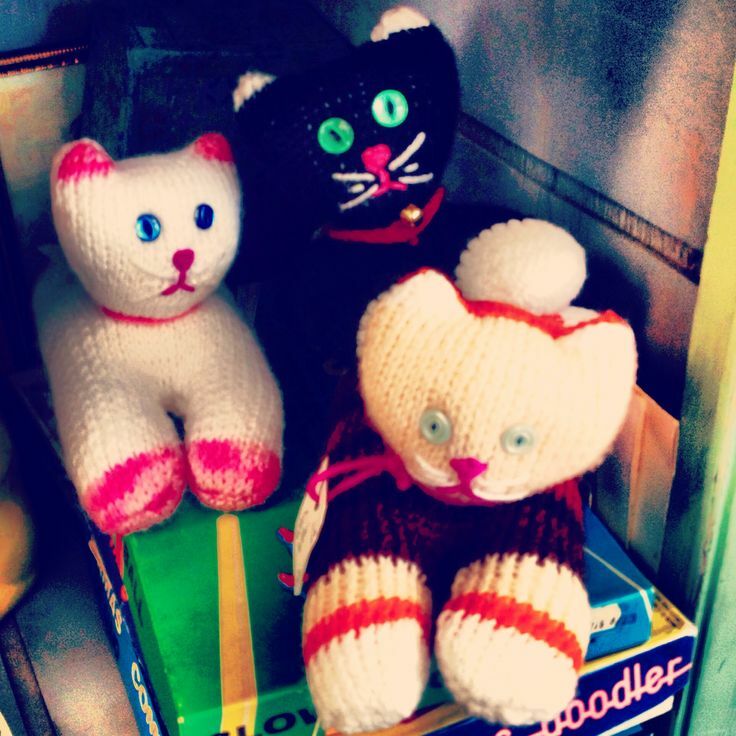 I loved the scary knitted cats and the furniture in the shop. It definitely had more of a vintage feel than Penny Lane. There is a fab second hand book shop on the city walls near Northgate Street called Bluecoat Books, which is must see place for book fans. Whilst it’s packed full of books, it is well organised, cheap and not overwhelming. As Chester has a university, it does a good line in academic books. The charity shops in Chester have gone downhill since our last visit. There are simply less charity shops and with the growth in vintage shops there is just less decent stuff available. The Oxfam on Bridge Street is now seriously lacking in music and that was always a good place to go. Then again the Oxfam on Frodsham Street is always worth a look for books. In one charity shop I overheard one of the assistants saying some charity shops had closed due to high rents. I had noticed where there used to be a vintage book shop on Bridge Street had now turned into Jigsaw. I would take a guess the rents had something to do with that too. In Age UK we witnessed a crazy incident. Neil was browsing through the vinyl records whilst I was perusing the books. A couple of girls aged about 10 started yelling at each other. One girl had picked up a bright orange gorilla and the other girl wanted it. It was getting heated and the screaming girls began to wrestle with each other to get hold of the £1.95 gorilla. Their Mums were just ignoring them, so the shop assistant had to intervene and take the gorilla off them saying only one of them could buy it. One girl ran off to her mum to get the money, whilst the other was busy counting out her pocket money. Obviously the girl with the pocket money got it. As I was leaving the shop, the other girl stormed out in a diva huff when she found out the other girl had got it. I wish I had filmed it as not only would I have got £250 from You’ve Been Framed, but also it was genuinely funny and would have been a You Tube classic. Whilst the centre of Chester is a standard shopping experience, I found that Faulkner Street and Brook Street are more interesting as it reminded me of the Northern Quarter in Manchester. I was pleased to find Abakhan, a cheap haberdashery shop that sells fabric by the kilo. Sadly with my repetitive strain injury I can’t buy wool any more. There’s a growing multicultural community in Chester which is shown by the number of ethnic food shops that have popped up along here. There’s a tanning salon that does spray tans that were medium, dark or double dark. Surely they could have said light, medium or dark instead? A shop assistant in a mini supermarket was discussing with her colleague that she didn’t mind lone working on a Saturday night as she always had her under-the-counter panic alarm if there was a robbery. These two streets may not be the most glamorous places in Chester, but I certainly find them the most interesting. As it was the Chester Races we found lots of people dressed to the nines looking glam. Although once some of the ladies opened their mouths their accents betrayed their Liverpool heritage and the glamorous illusion was shattered. It was quite funny as the day wore on as the suited and booted blokes got steadily trollied with alcohol and their smart appearance descended into a beery messiness. If I haven’t convinced you to go to Chester, then try Chester Zoo. I know some people aren’t keen on zoos, but this is definitely the best I’ve seen. The chimps are always happy, the penguins do jazz hands to visitors and most importantly the elephants are content. The elephants are incredibly gentle in how they relate with their family group. They are so hypnotic I could watch them all day. It’s always best to come at feeding time to see the animal interaction. 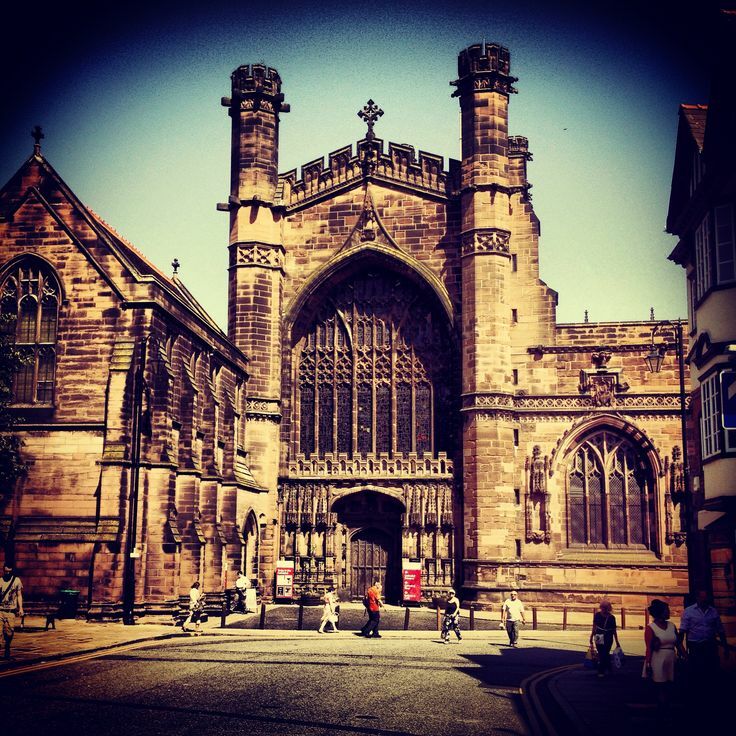 Chester is a very pretty city with the black and white Tudor style architecture and Roman history. There is the river and park on its banks if you want to take a break from shopping. You can also walk round the city walls or pop into the Cathedral. The opportunities to do stuff here are endless. No wonder we like taking a trip to here, although the parking is pants. For those who love photography you really can’t get enough of this place as there is a photo opportunity on every corner. Although for architectural photography 6am would be the best time in this city as the city is pretty busy during shop hours. So how shall I end this blog? I’m sure I’ve not even got everything in as there is so much to write about. 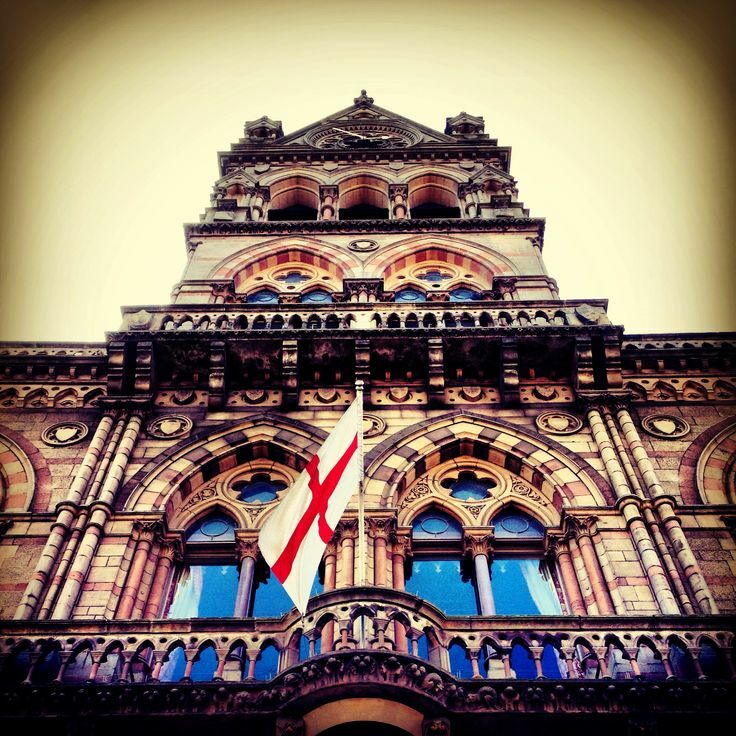 So let’s finish on these five words - Go to Chester, its great!